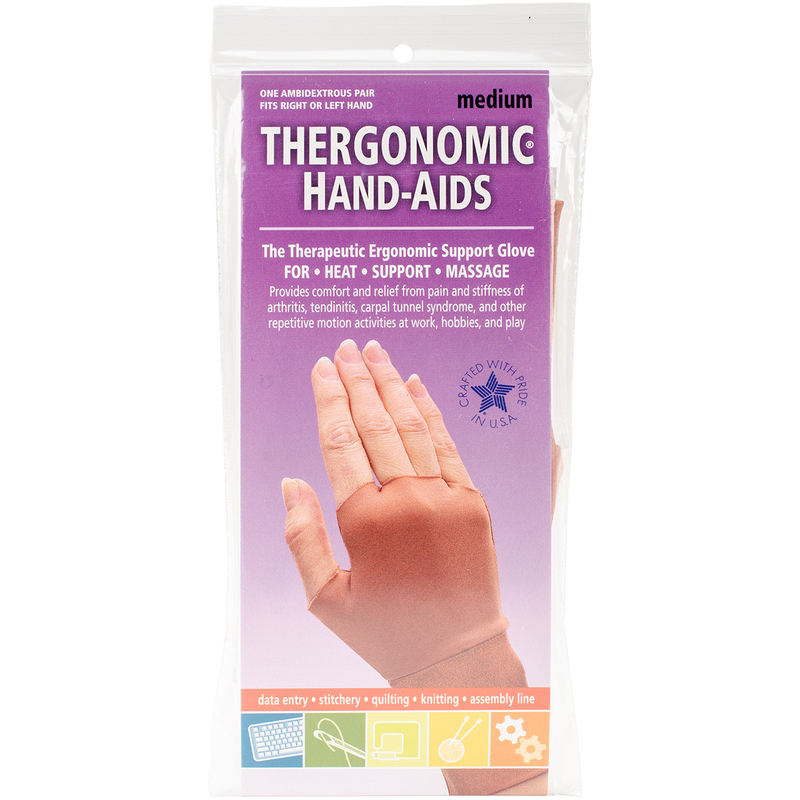 Edmunds-Thergonomic Hand Aids Support Gloves. A simple way to relieve the painful stress and strain on hands that commonly afflicts expert sewers and quilters. The gloves' hand-hugging blend of nylon and stretch spandex creates a firm pressure that will massage your hands and wrists as it supports them. They also help contain body heat for enhanced circulation. Gloves are 88% Nylon/ 12% Spandex. This 8x4 inch package contains one pair of medium support gloves. Machine washable. Comes in a variety of sizes. Each sold separately. Made in USA.